E-commerce is a dynamic and growing industry in the Netherlands, growing from 16 billion to over 26 billion in 2018, over 25% growth year over year in the last 4 years. Next to large local players like Coolblue, Bol.com etc. we saw the rise of e-commerce of Dutch headquartered global brands in 2017. The supporting tech industry, from click to cash, saw its revenue double, especially in the mid-segment of e-commerce players. In 2018, we saw Dutch payment provider Adyen go IPO at a value of over 6 Billion Euro. In 2016, we also saw the first food e-commerce unicorn in the Netherlands, Takeaway.com did an IPO and was valuated at 1.3 Billion Euro. Near Food grew 42% in Q1 2018, and though still relatively small, this will be the fastest growing segment. For 2019, and beyond we expect to see a similar increase in e-commerce, where cross border shopping will be increasingly popular for Dutch web shoppers. Because of its large internet and ecommerce penetration (97% of Dutch have internet access, 95% use the iDeal local payment platform), Netherlands is ideally suited for ecommerce. Customer experience is key in 2017, from offline to online clients want to be entertained and expect a flawless experience especially in payment. Mobile experience is on the breakthrough in 2018. 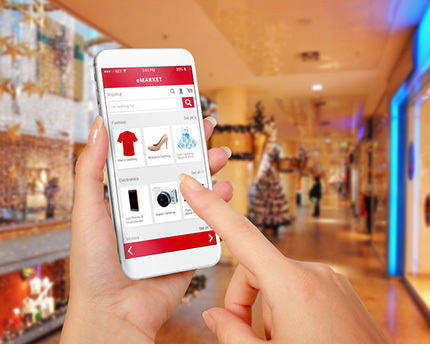 Clients have become increasingly used to mobile shopping, which is now starting to fill the gap between offline and online, doubling the number of mobile purchases. Advanced Search and AI need to address the desire to have a google-like search experience within web shops. Augmented shopping is a new key word. E-commerce in b2b will scale exponentially, facing b2b suppliers with the same needs as their b2c counterparts. Unified channel will be the next goal after Omni channel, including video, podcast and other online experiences, for example shopping support. Content marketing will replace interruption marketing, relevance will be leading. Customer profiling using big data, to offer an even better client experience using AI during the interaction. Same day delivery will become a competitive factor. Social customer care, where care is delivered on the channel of choice of the client. Multi device purchases, the client expects presence of the e-commerce organization on all devices. Subscription selling of goods and services, like razorblades, will become important for repeat purchases. Packaging, to suit convenience, already big in men's clothing. One of the oldest Dutch e-commerce sites, BOL.com now is owned by Ahold and serves as e-commerce platform for smaller retailers? The largest growing e-commerce site in NL sells meals? Takeaway.com operates in over 20 countries and is stock listed. One of the high growth e-commerce companies in Netherlands run a worldwide business to resell that clients returned after an online purchase? E-commerce is an open playing field, where in Netherlands all solutions are viewed at face value. To illustrate, Etuma landed a deal in the last years at the Dutch Post. Finnish solutions are typically strong, and -provided they play in a clear positioning- can be sold as well as any other solution. Video related search, video and imaging seems in high demand as well as experience monitoring tools. However, the payment solution market is relatively saturated. Trademill works with retail and e-commerce players through its network in the Netherlands. E.g. Chris Limberger is our e-commerce specialist with experience in e-commerce and digital marketing. Contact Petra Wullings for a chat about the e-Commerce Industry in the Netherlands, we are more than happy to help you! Keep posted about the business opportunity news in The Netherlands and receive all updated Fact Sheets in your mailbox.